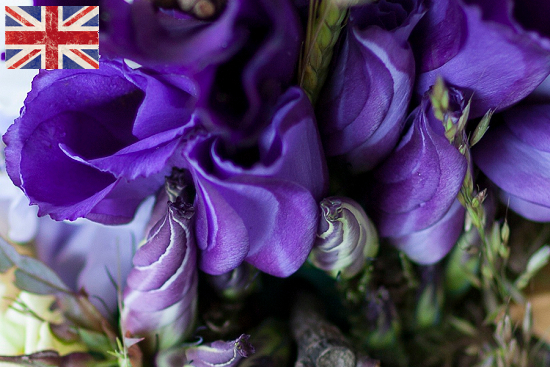 On Day One of British Flowers Week: Discover all about British lisianthus, the focus flower for British Flowers Week of Okishima & Simmonds. Common name: lisianthus or lizzy for short! The native habitat of the lisianthus is on the prairies of North America, where it is known as the prairie gentian or the Texas bluebell. The wild flower eustoma is no longer as common a sight as it once was, having been picked to such an extent that it has been able to re-seed. The lisianthus we know as a cut flower today is the result of the extensive breeding programmes undertaken by Japanese growers since the 1930s. Google it, and sources tell you that the name lisianthus comes from the Greek. Lycis means dissolution and anthos means flowers, although somehow one is no wiser for the research! Other sources say that lisianthus signify dignity, appreciation, gratitude and charisma, which is altogether more becoming. Lisianthus have long, slender stems, which bear several gentian-like tubular flower heads. The colour palette ranges from white, ivory and pink to red, blue, purple, yellow or orange and there are bi-coloured varieties, where the tips of the petals are shaded a different colour. The lisianthus is a classic cut flower, extremely productive from a grower's point of view, and it is enjoying a renaissance in interest. You can choose from the simple, single-flowered variety or the blousy double-flowered forms. For the florist, the lisianthus is a perennial favourite. 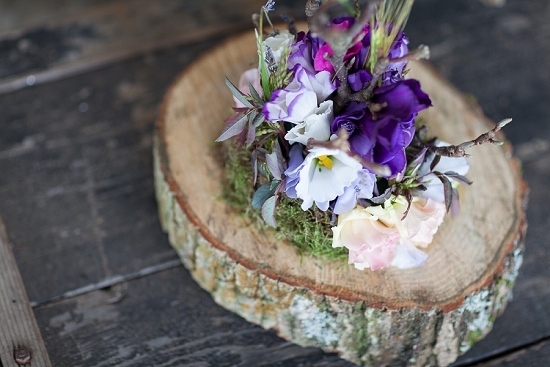 Says Jessica of Okishima & Simmonds: "The lisianthus is such a versatile flower. You can use them in bouquets, table centres, wire the flowerheads for buttonholes and headdresses, and keep the long stems and the swirling, tight flowerbuds to create a free look to an arrangement. We always love to mix them with other flowers rather than use them on their own." Depending on the weather, British lisianthus tend to come into New Covent Garden Flower Market in March and go out of season around September. "They are much taller than Dutch lisianthus," says Chikae of Okishima & Simmonds. "And the flowers are a much nicer shape somehow." Look for flower stems where the first buds are opening to be sure that they will open fully. Lisianthus are one of the easiest flowers to look after. Simply ensure all leaves are removed from below the water level, put the stems in water with diluted flower food and allow them to open in a warm room. They should last a good 7-14 days if kept topped up with water. Okishima & Simmonds have used the flowerheads in wired bouquets and find that they last up to 3 days. 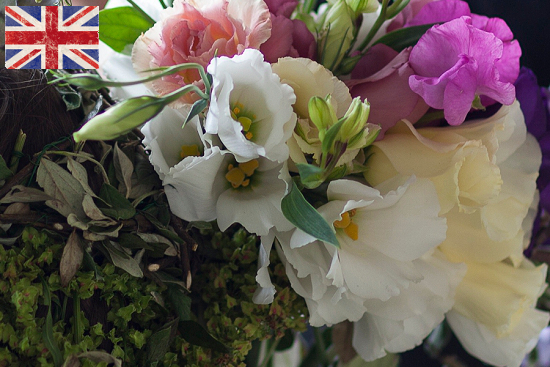 The peak season for British-grown lisianthus runs from March to September. 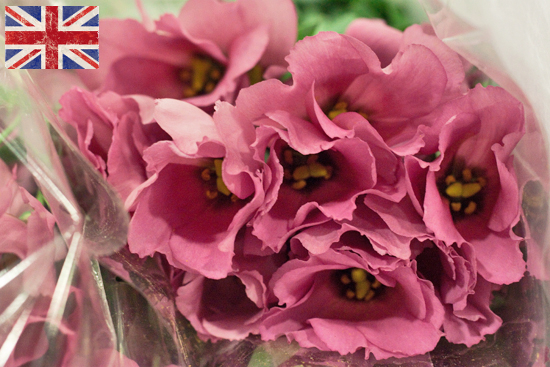 Stocks are generally delivered fresh into the Flower Market from the growers for Monday and Thursday trading.